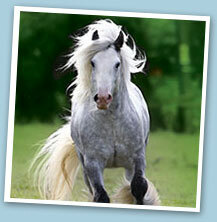 We've negotiated some great offers for Petplan Equine customers. We'll be adding new offers regularly so remember to check when you're browsing online to see what great discounts are available. If you have any suggestions for equine products or services you'd like to see featured, email us the details and we'll see what we can do. By entering into the prize draw, all entrants will be deemed to have accepted and be bound by the following rules. Entry is free and is open to entrants aged 18 years old or over and proof of identity and age may be required. Use of a false name or address will result in disqualification. All entrants consent to us contacting them about our products and services, and when you enter the prize draw online your email address will be added to Petplan Equine Equine's newsletter database. You will be given the opportunity to unsubscribe from the email newsletter database via the unsubscribe message in the email. All employees of the Allianz UK group, and their respective subsidiaries and associated companies, their immediate families and anyone involved in the promotion of the competition, including any printers and agents, suppliers of the prize and any other companies associated with the prize draw, are excluded from entry. The prize shall be awarded at Petplan Equine's discretion and if it considers any entrant has acted inappropriately or dishonestly in entering into the competition, it reserves the right to refuse to award any prize. No purchase is necessary. Winners will be confirmed either by phone, in writing or by email. If they cannot be contacted Petplan Equine reserves the right to offer the prize to the next eligible entrant drawn at random. Winners' names will be made available upon request after the closing date by sending a SAE to: Petplan Equine Marketing, Great West House (GW2), Great West Road, Brentford, Middlesex, TW8 9DX. Petplan Equine also reserves the right to announce winners on the Petplan Equine website and/or social media sites. The prize is as stated and is subject to availability and the suppliers' terms and conditions. In the event of the prize being unavailable for any reason outside Petplan Equine's control it reserves the right to offer an alternative prize of equal value. Petplan Equine is not responsible for the quality of the goods supplied. Petplan Equine's decision is final and no correspondence will be entered into and it reserves the right to amend or alter the terms of the prize draw. Winners will participate in all required publicity and Petplan Equine reserves the right to publish the names and photos of winners in post event publications and on the Petplan Equine website. Winners will reasonably cooperate with publicity as a result of winning. The promoter of this prize draw is Allianz Insurance plc ("Petplan Equine") whose registered office is at 57 Ladymead, Guildford, Surrey GU1 1DB.